As a kid, my parents showed me The Commitments. I didn’t get the plot much at first, but the songs – oh the songs. Later, as I watched it again and again, I discovered little things I didn’t see before. And the movie remains to this day, in my eyes, a perfect example of a tribute to nostalgia for a certain era, especially its music. Countless movies like that exist, but none so poignant as the original. Because yes, it was about wanting to be part of this era that you loved. But really, it was about escaping your harsh reality and fleeing to this place where things seemed easier. This is actually quite accurate now, because Generation Y are facing harsher futures than their parents, and while embracing new technologies, they also yearn for the world their parents had described and which doesn’t exist anymore. What best then, than a movie set in the mid 80s, when pop music was just growing into itself, set in Ireland, where things more oftne than not appear dire. 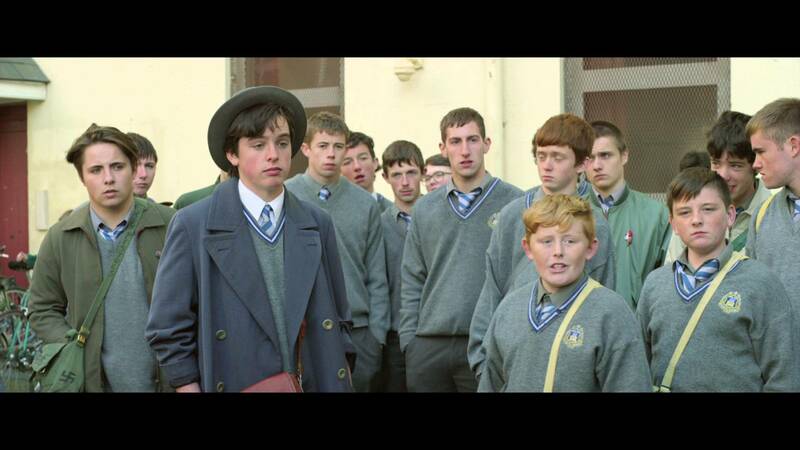 Conor Lalan (Ferdia Walsh-Peelo) is a quiet Dublin kid, but when his family hit a particularly harsh rough patch, his father (Aidan Gillen) decides to take him out of private school and transfer him to Synge Street CBS, a state-school with a bit of a bad reputation. Things get off to a bad start when he immediately offends principal Brother Baxter (Don Wycherley) by wearing the wrong shoes. Bullied by some of the other kids, Conor is having a hard time adjusting. That is, until he meets one friend, Darren (Ben Carolan) and THE GIRL, the enigmatic Raphina (Lucy Boynton). In order to impress her, Conor invents a band he’s shooting a video for. When he successfully gets her number, Darren and him seek out fellow students to play together. 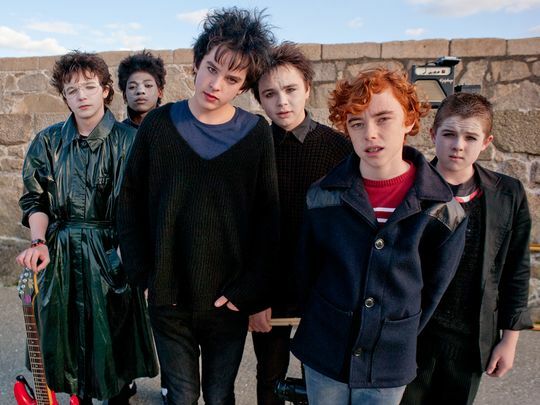 Darren introduces him to musical wunderkind Eamon (Mark McKenna), and together they piece together an odd group and name themselves Sing Street. 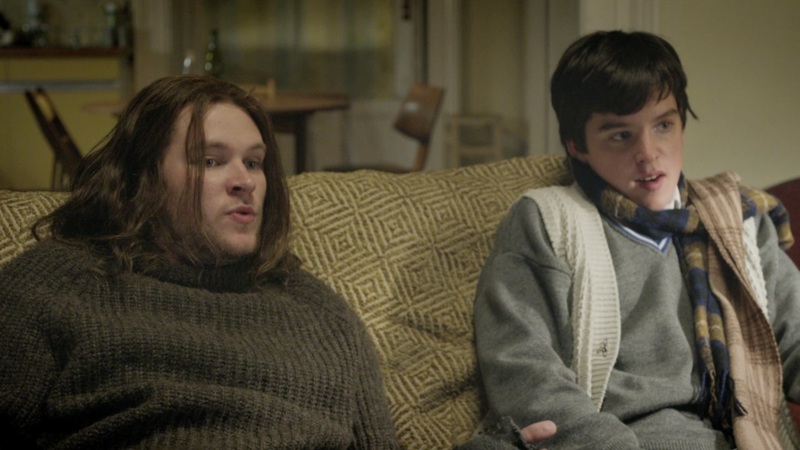 Conor’s older brother Brendan (Jack Reynor), a keen music fan, takes great interest in the band, and pushes Conor to step away from being a cover band and write his own stuff. 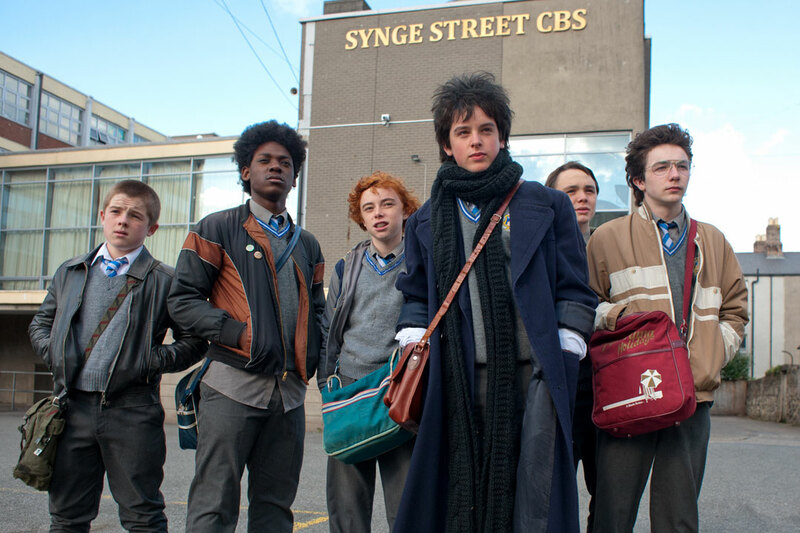 Playing him one vinyl after another, Brendan opens Conor’s musical horizons with Depeche Mode, The Cure, Hall & Oates, Duran Duran… With each new discovery Sing Street writes a new song and explore their genre, both in style and attitude. At the same time, the friendship between Conor and Raphina grows as she becomes an integral part of their videos and lives. Yet her big dream is to leave Ireland and head to London to become a model, while Conor just wishes his parents would stop fighting. Filled with the best of 80s music, as well as catchy originals, this film will make you laugh, cry, and jig about on your cinema chair. The all Irish cast mixes familiar faces (especially Maria Doyle Kennedy from The Commitments) and new recruits. 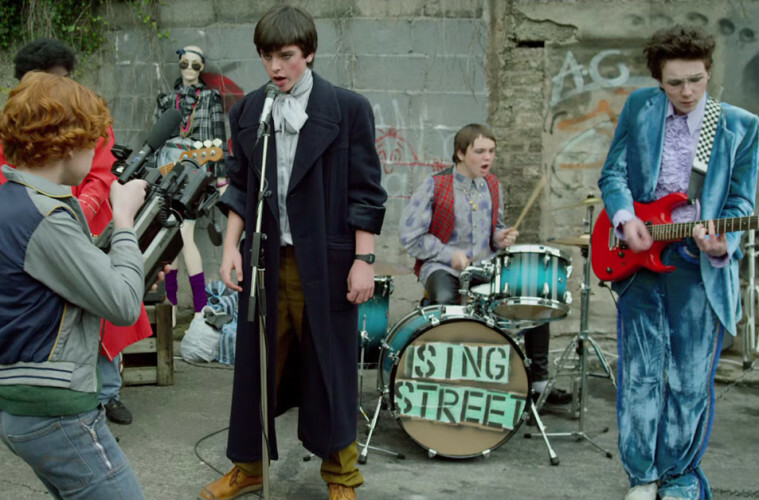 While the Dublin of Sing Street is less grim than that of The Commitments, it does require the same amount of imagination and love for music to fill its streets with happiness instead of shouting and violence. I’m totally buying the soundtrack as soon as I can, and I recommend you go and do the same. This is one movie that hasn’t had much publicity, but that deserves all the praise it gets. Tags: 80s, dublin, duran duran, hall & oates, Ireland, Irish, sing street, the commitments, the cure. Bookmark the permalink.